T he Civil Parish of Brighstone nestles between the south-west facing coast of the Isle of Wight and the chalk downland to the north. The Parish includes the villages of Brighstone, Brook and Mottistone as well as smaller hamlets and settlements such as Hulverstone and Limerstone. 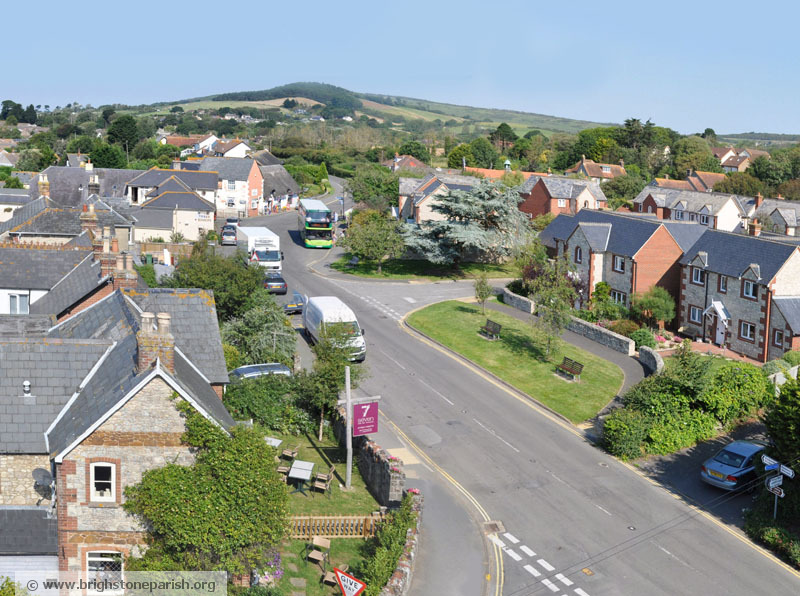 This website is produced by Brighstone Parish Council as a service to local people and those interested in the parish. The website gives information on local services; tourist information; news and events, and also provides information on the Parish Council; the services offered; documents; information and minutes from recent meetings. Use the menu above to find useful information within the various sections of the website or use the quick links on the right for the most recent news and events as well as links to local services including bus time tables, ferries and tide tables. Disclaimer: Whilst all reasonable efforts are taken to maintain the accuracy and currency of the information on this website, neither Brighstone Parish Council nor its agents can accept responsibility for errors or omissions. Notification of such errors will be welcomed. The inclusion of information about businesses does not imply the endorsement of the Parish Council.